The SLR-E3N is a Photoelectric Smoke Detector, which is fully compatible with the majority of existing Conventional systems. 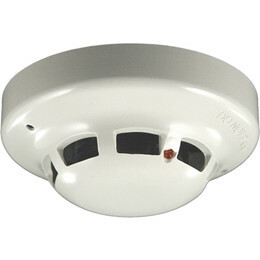 The SLR-E3N incorporates Hochiki’s unique High Performance photoelectric smoke chamber removing the need to use Ionisation Detectors in the majority of applications. An integral third terminal provides a remote indicator output. The smoke chamber is easily removed or replaced for cleaning and utilises a unique baffle design which allows smoke to enter the chamber whilst keeping out ambient light.